If you’ve ever tried to “juice” a banana, it probably didn’t work out so well. Nothing comes out the juice spout – instead everything just gets mashed into the pulp receptacle. But that doesn’t mean bananas aren’t useful for juicing. 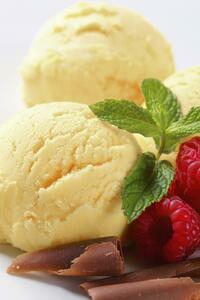 If you have a horizontal juicer, you can easily make banana sorbet or ice cream. Right now in summer is a great time to try it. 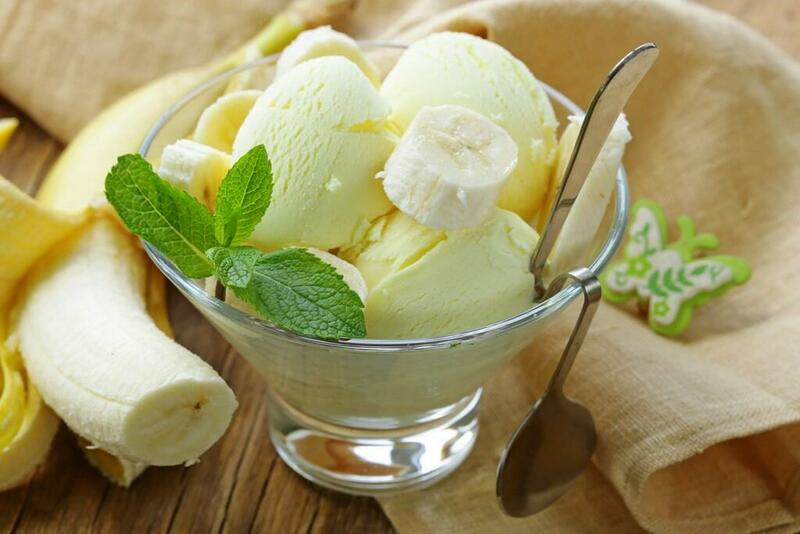 Most horizontal juicers are able to make banana sorbet or ice cream because they come with a homogenizing screen, also called a “blank” screen. For example, the Sana EUJ-707 or the Omega 8006 are not only versatile juicers, but they can also make such things as ice cream and sorbet, fruit snacks for kids, nut butters, and pasta. Are you trying to keep slim in the summer? Replace that high-calorie ice cream with homemade sorbet. The only ingredient is fruit! One banana will make one cup of sorbet. And even the kids will love it. Cut the banana into slices and spread on a plate or small tray lined with baking paper. Put the slices in the freezer for 2-3 hours. Put the homogenization screen on the juicer, and slowly put in the banana slices. Mix together the resulting sorbet with a fork to a smooth consistency. Scoop the sorbet into bowls with an ice cream scoop. Tip: Next time mix in a few strawberries, or squeeze in the juice of half a lemon. This second recipe isn’t exactly for those on a diet, but it’s much healthier than those ice cream treats you buy from the grocery store. 1. Cut the banana into slices and spread on a plate or small tray lined with baking paper. 2. Put the slices in the freezer for 2 hours. 3. Wait an hour, then mix the remaining ingredients together. If the bananas aren’t very sweet, add a little honey or maple syrup. 4. Put the mixture into the freezer for an hour. 5. After the two hours (one hour for the milk mixture), take everything out of the freezer and cut the milk mixture into strips. 6. Put the homogenization screen on the juicer and alternatively process the frozen bananas with the milk strips. 7. After processing it, run it through the juicer a second time. This will give it an even smoother consistency.